Some years ago I competed in our sport. I was fortunate to pull in National and World championships. 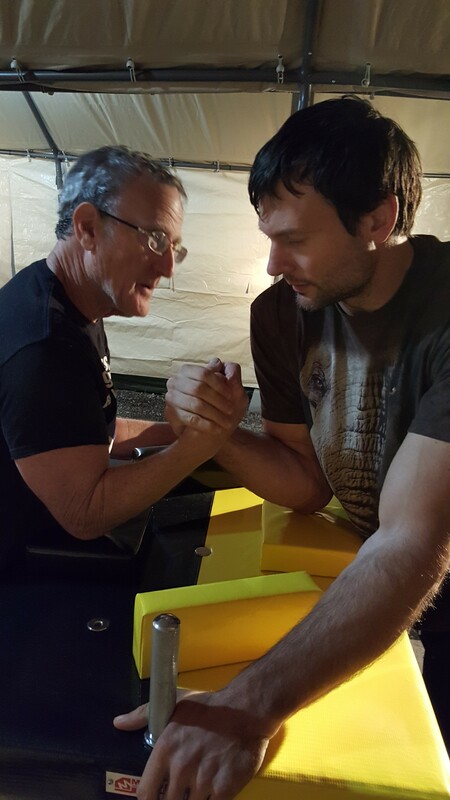 I’ve pulled and practiced with many of the legends – pullers who came before this generation who built the foundation of arm wrestling. Jim Dolcini, past National and World’s champion taught me. Many others have also passed the sport on to me. I hurt my right shoulder in Paris, France at the French Tennis Championships, a Grand Slam event. It collapsed my major pulling muscle in my upper back and ended my competitive pulling career. However, I then became a major referee similar to Bill Collins and his career today. Our careers followed a same path. For those of you who have not seen Bill pull, he was the real deal; still probably is. Bill will tell you this: the only better way to learn the sport of arm wrestling, other than competing ourselves, is looking over a table as a Head Referee. You see it all. I did that for quite some time. 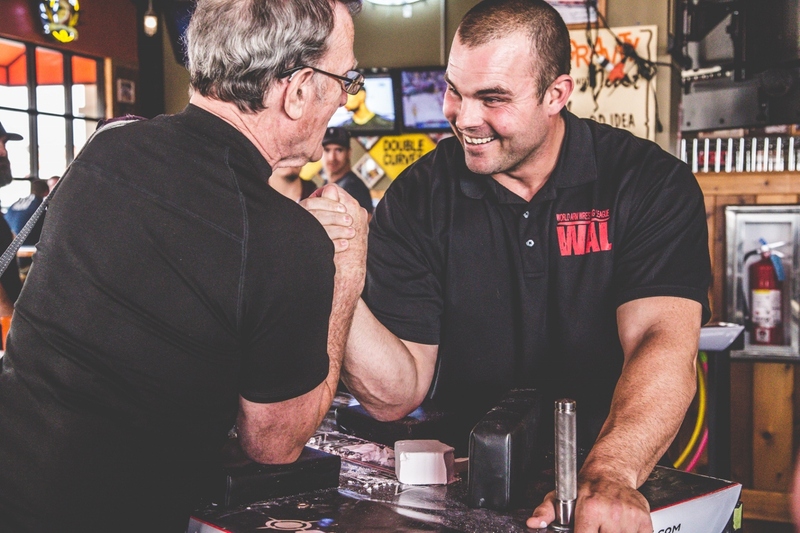 I became the first puller to referee the finals of the first Super Heavyweight World’s Professional Arm Wrestling Championships. I became the first traveling coach on the Men’s Tennis Tour. My students won every national championship at every competitive level of junior boys and girls, intercollegiate and professional tennis. On the Men’s and Woman’s tour, I worked with 7 Wimbledon champions. I had a long competition career in tennis that included playing in two Grand Slam events. Over the years I built the tennis games of many of the world’s elite tennis players, juniors, intercollegiate, men and women on the Professional tennis tours. These games included the Williams sisters and others. There are similarities in both tennis and arm wrestling. Each sport has a game and sub games that comprise the total game. Each sport is mano a mano. I am a professional competition coach. I am an attack, speed, power, defensive arm wrestler and arm wrestling coach. 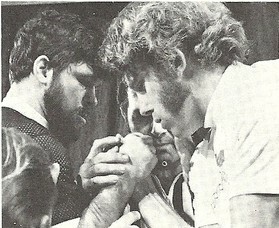 Paul Cohen referees the First Professional Armwrestling Championships.